Residents of the beautiful volcanic islands are subject to a variable income tax system, with nine tax brackets. Rates range from 1.4% to 11%. Luckily, Hawaiians don’t have to pay any local taxes. Hawaii employers are responsible for withholding FICA taxes - 1.45% of your earnings for Medicare taxes and 6.2% for Social Security. Your employer will then match these amounts, so the total contributions are double what you paid. Any earnings that exceed $200,000, are subject to an additional 0.9% in Medicare taxes, which your employer does not match. If you are self-employed you must pay the total 2.9% in Medicare taxes and 12.4% in Social Security yourself. Fortunately, there is a deduction available to help self-employed people recoup some of that money. In addition to FICA taxes, federal income taxes are withheld from each of your paychecks and sent to the IRS. This money goes toward your annual income taxes. How much your employer withholds in federal income taxes depends on the information you provided on your W-4 form. You need to fill out a new W-4 every time you start a new job or if you want to make a change to your allowances. In December 2017, President Trump signed a new tax plan into law. It changed paycheck tax calculations and may have resulted in your paychecks getting a bit bigger. If you haven’t already done so, it’s a good idea to check your W-4 and make sure your information is still correct. One factor that affects how much is withheld from your pay is your marital status and whether or not you’re filing separately from your spouse. Having dependents also means that you might be eligible for more withholding allowances, which might mean you have to pay less in taxes. Generally, the more allowances you claim, the bigger your paycheck is. But if you claim too many allowances, you risk underpaying your taxes all year and being hit with a massive bill come tax season. The frequency of your paycheck will also affect its size. If you are paid once a month, your paycheck will be bigger than if you are paid bi-weekly. If you’re paid bi-weekly, that might also make it easier to budget as you have money coming in a couple times a month. Another factor that affects your take-home pay is whether or not you make any pre-tax contributions. This is money that comes out of your pay before income tax does. Common pre-tax contributions include a health savings account (HSA), retirement accounts like a 401(k) or commuter benefits. Finally, if you pay for health insurance for you, your spouse and/or your children through your employer, that money will come out of your paycheck. Residents of the Aloha State face nine tax rates in total, depending on their income level. Single filers and married people filing separately are rates ranging from 1.4% on the first $2,400 of taxable income up to 11% on income over $200,000. The tax brackets are the same for couples filing jointly, but the income brackets are doubled. Hawaii doesn’t charge any local taxes. If you’re part of the U.S. Coast Guard, Marine Corps, Air Force, Navy, a member of the reserve components of the Army or the Hawaii National Guard, you’re exempt from paying taxes on the first $6,410 you earn. If you decide to file jointly and your spouse also qualifies, then your exclusion doubles. If you consistently find yourself paying a lot in taxes come April, you may be claiming too many allowances and thus not paying enough in taxes throughout the year. If this is the case, fill out a new W-4 form on which you claim fewer allowances. You can also ask your employer to withhold a dollar amount from each of your paychecks to right-size your withholding. If you are paying a lot in taxes, you may also want to consider upping your contribution to retirement accounts like a 401(k) where your money can grow tax-free. Not only will you be saving more for your golden years, but since this money comes out of your paycheck before taxes are withheld, you can actually lower your taxable income and, if you’re lucky, decrease how much you owe in taxes. Conversely, if you tend to get a huge tax refund, you may want to adjust your allowances and withholding in the other direction. Some may consider a big tax refund a good thing, but others might argue you could have used that money to do other things throughout the year. It’s worth upping your allowances or decreasing your dollar withholdings on your W-4 form if you pay too much in taxes throughout the year. 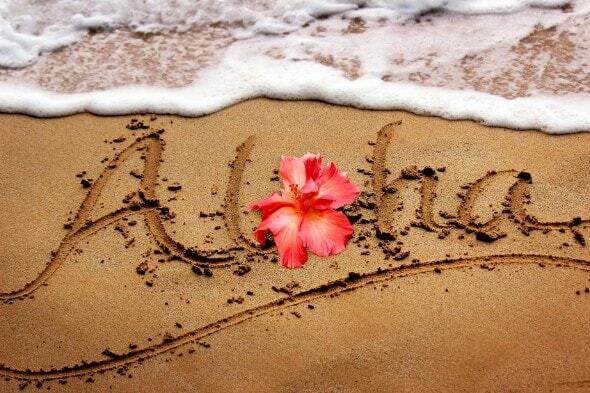 Looking to relocate and purchase a property in Hawaii? Check out our Hawaii mortgage guide to understand mortgages and mortgage rates before making the move.